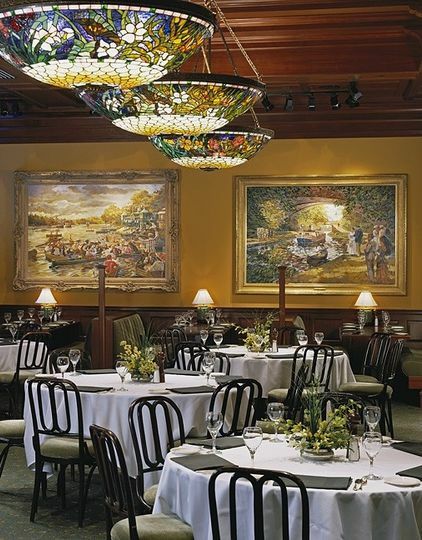 Clyde’s of Gallery Place is a historic restaurant in the Washington, D.C. area that mixes classic and modern design elements. 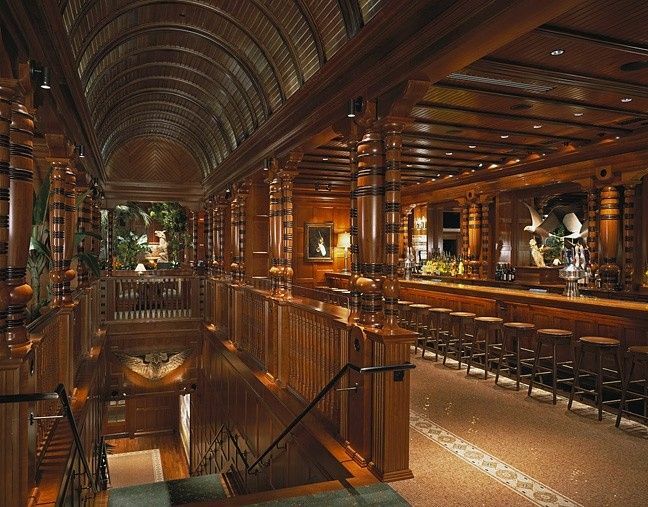 This wedding venue offers inviting indoor spaces with large windows and a classic long wooden bar. 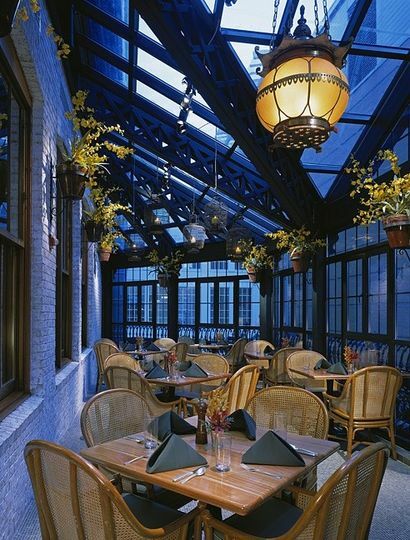 Couples can find this restaurant approximately 10 minutes from The White House in downtown Washington, D.C. The two-story grand Victorian saloon welcomes up to 130 guests for a couple’s wedding celebration. 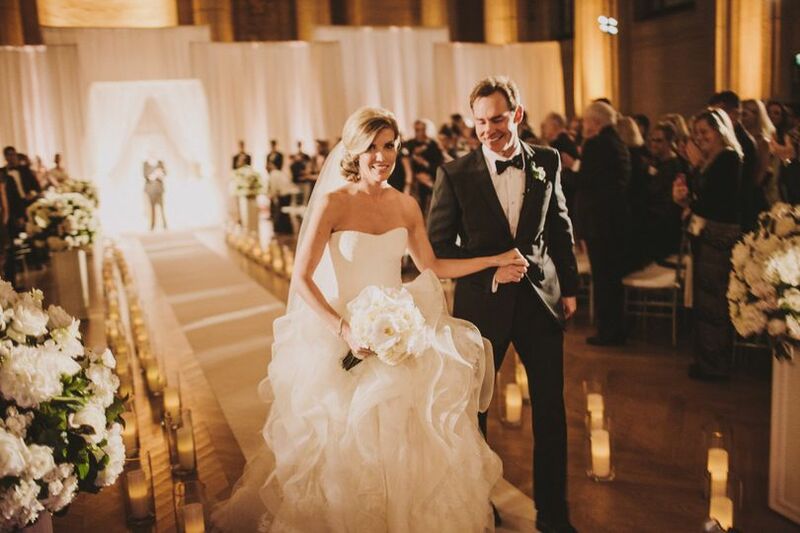 Couples can celebrate in the Piedmont Room, 7th Street Parlour, or Conservatory. 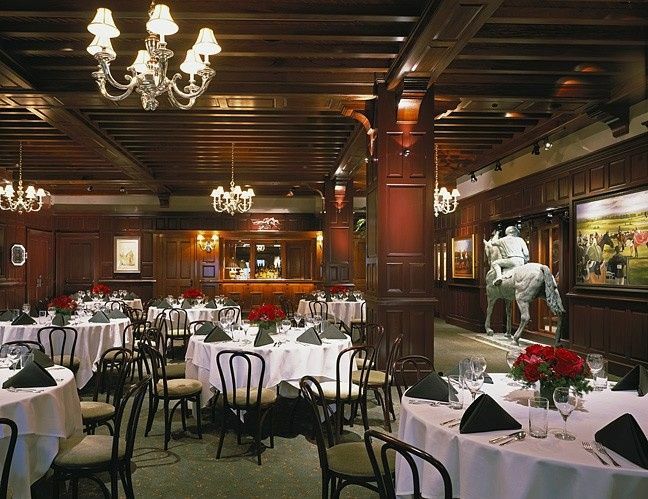 The Piedmont Room and the 7th Street Parlour both feature polished wooden accents and architectural elements. This wood makes up the ceiling, the walls, and even support columns in this restaurant for a classy feeling in any space. The rooms are connected by a breath-taking grand staircase with an arched ceiling overhead and stately green carpeting. The Conservatory is a greenhouse-style room. Attached to the outside of the restaurant, this space has a sloping glass ceiling and glass walls, giving couples and guests the feeling of being outside without having to worry about the weather. Lantern-style lights and hanging plants take up the space over guests’ heads in this multi-functional space. 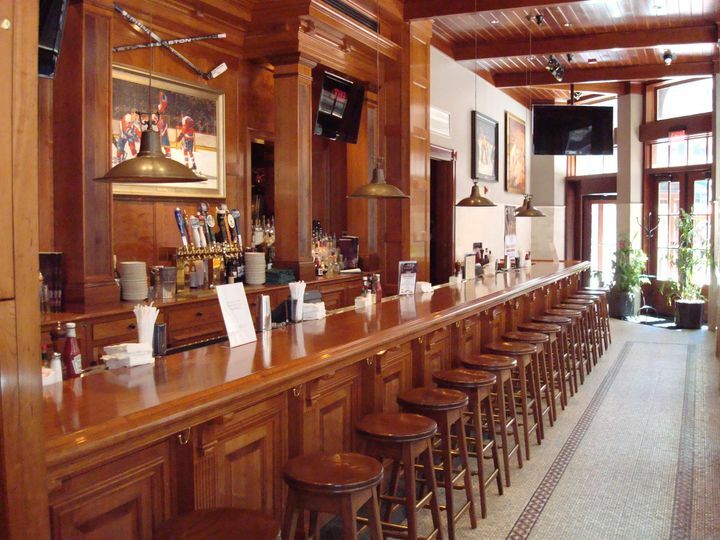 This venue offers full in-house bar services for couples and their guests on the big day. All the alcohol is provided by the restaurant as well, so couples don’t need to worry about supplying the drinks. Bartenders serve a cash, limited, or open bar, pouring for a champagne toast as well as serving house beer, house liquor, house wine, premium liquor, specialty drinks, and more. For their meal, couples can choose from local American cuisine options. Guests with dietary restrictions don’t have to worry, as this venue can prepare gluten-free, kosher, lactose-free, no pork, nut-free, vegan, and vegetarian dishes. Clyde's of Gallery place had great food and great service. The room we had the dinner in was absolutely gorgeous. I would have my rehearsal dinner there again in a heartbeat. We were running behind schedule and they were very flexible in dealing with the time delays. If you want to have you RD downtown please check out this place, you won't regret it. 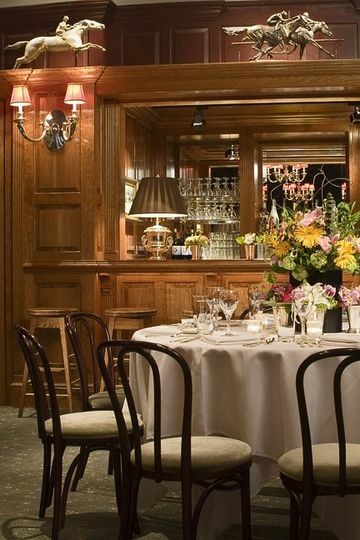 We choose Clyde's for our rehearsal dinner. It was the perfect spot. They gave us our own private room in the back. The space was cozy but we had enough room for both a cocktail hour and seated dinner. It was also beautifully decorated with wood paneling all around the room. Clyde's was extremely easy to work with. The price included small flower centerpieces printed menus, and our own bar and bartender. We received many compliments on the room and the food. 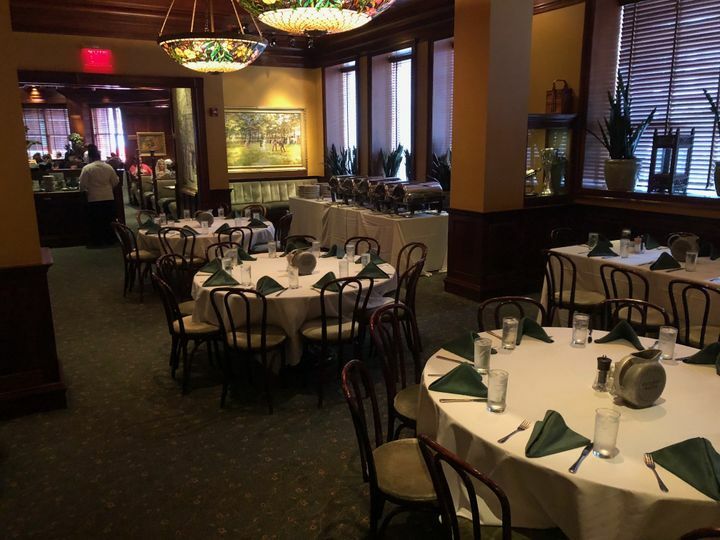 We held our rehearsal dinner in the Piedmont Room at Clyde's and it was perfect! During the planning, they were very responsive and flexible. The quality of food and service that we got for the cost exceeded expectations. The staff was friendly, efficient and really went above and beyond. Just a small example, my grandmother asked for a Guinness and was told it was only at the bar downstairs; within 5 minutes, a waiter appeared with a glass for her. When I realized the shrimp was going faster than I'd thought, I asked for an another tray and it appeared right away. It really was a perfect rehearsal dinner and the party continued with family at the bar downstairs where other friends could meet up. I'm so happy with the whole night . The venue is beautiful, but it was Tim who made our clients&apos; event so perfect. Tim was incredibly easy to work with and flexible for our clients. He has a very calm demeanor and willingness to accommodate all requests. 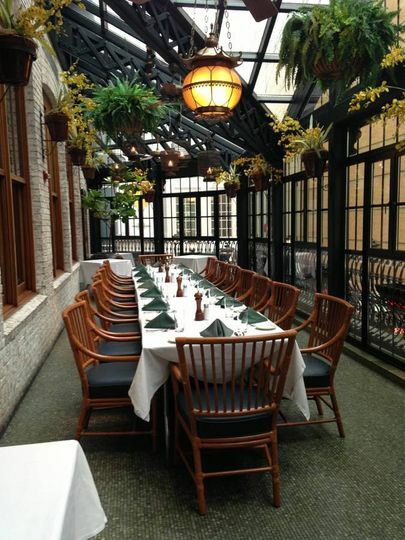 We highly recommend Clyde&apos;s of Gallery Place for a wedding reception or event. 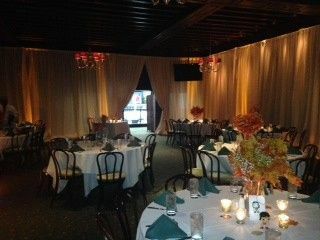 The room was well designed for a private party and the staff was helpful in every possible way. A big "Thank You" to the friendly and accommodating people at Clyde&apos;s of Gallery Place!